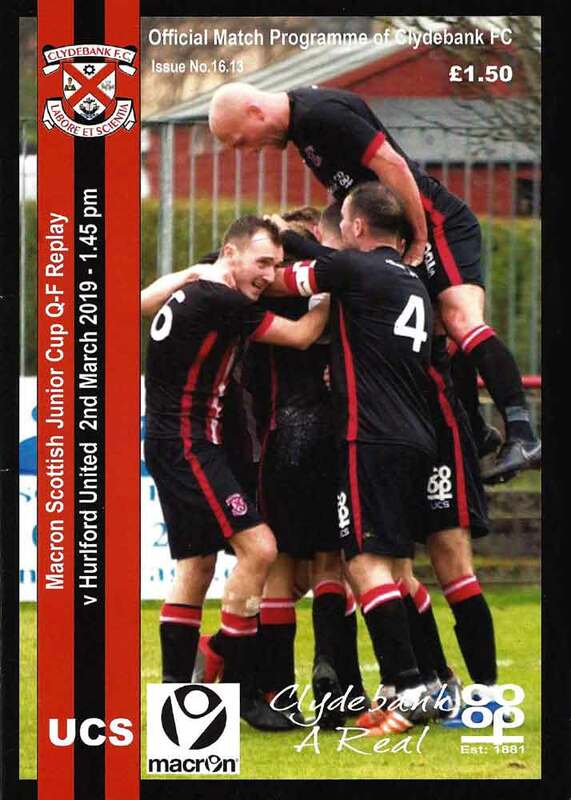 Clydebank’s interest in the Scottish Cup ended at the quarter final stage as Hurlford United ran out deserved 3-1 winners on a quagmire of a pitch at Lochburn Park. As was feared, The Bankies missed their chance to win this tie last week, and Hurlford as expected performed much better in the replay. Despite getting off to a fantastic start through an early goal from Nicky Little, the roof caved in as the heaven’s opened up. With the pitch turning into something more akin to the Glastonbury music festival, Clydebank’s reliance on pace and passing was neutered allowing Hurlford to completely dictate the terms of play. As well as a strong defence, Hurlford had the outstanding player on display in Ryan Caddis whose second half performance was the difference between the sides and his goal killed the game off. It was no surprise that Kieran McAnespie went with the same eleven who came so close to victory the week before at Blair Park. And this seemed justified as the Bankies roared into the lead within the first six minute. Chris Black split the away defence with a pin point accurate pass that met Nicky Little’s forward run perfectly. The Bankies hitman finished expertly to claim his 22nd goal of the season. Hurlford went straight into attack and should have equalised just two minutes later. A cross to the back post was cut back across the six yard box found Calum Watt only a few yards out. With the goal gaping, he somehow contrived to hit the ball over the bar. At this point the rain came teeming down, and the pitch started to cut up badly. The Bankies then lost Andy Paterson to an early injury and he was replaced by Jack McClair. This unsettled the home team and Hurlford equalised soon after. A Crossfield run was not checked by the Bankies defence and the ball was pushed out wide on the left wing. Lidington crossed into the near post and Liam Caddis arrived first to prod the ball home at the near post. All in, this was too easy and a disappointing goal to lose. 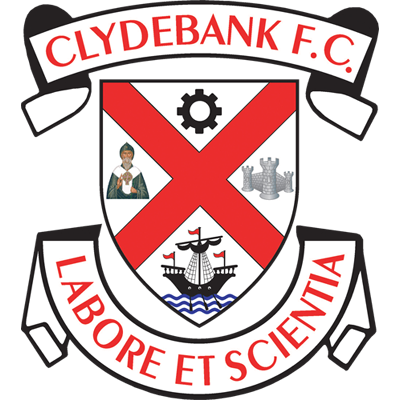 Clydebank went on to have their best spell of the match and could have regained the lead. Nicky Little held off several challenges has he broke down the right hand channel. He did remarkably well to get a shot away under severe pressure, but Murchie did well to save with his feet. Just after Jordan Shelvey flashed a header wide following fine play on the wing by Chris Black. Black showed his defensive qualities moments later when he deflected a vicious shot over his own bar for a corner kick. It was from the corner that Hurlford took the lead. This was an area where Hurlford carry a massive threat and one that the Bankies handled superbly last week. Unfortunately, this time it was not the case. The ball was fired into the near post and Barron was first to the ball and directed a header into the net. It was another disappointing goal to lose. The first half had been fairly even and Clydebank had their chances, but found themselves a goal behind. It was now going to be a tough ask for the Bankies to turn the result around with conditions deteriorating badly. This was borne out as the Bankies struggled in all aspects of their play in the second half. Hurlford came out strongly in search of the killer third goal, but even they were finding the going tough as neither side could find a way to goal. The match descended into punting the ball from one end of the park to the other with the prospect of keeping the ball on the deck at virtually zero. To my mind the game truly tipped in Hurlford’s favour once the Bankies decided to chase the game. Hepburn replaced Jack McClair as Kieran McAnespie moved to three at the back. In fairness, with an equalising goal looking slim, he had to try something to turn the game in the Bankies favour. Unfortunately, it went the other way, and Ryan Caddis came into his own with the increased space he found. After 70 minutes Caddis turned virtually the whole Clydebank defence as he slammed at shot off the base of the post. Minutes later Caddis then outpaced Alan Vezza on the right wing and he neatly cut the ball back for Reilly but his mis-cued his shot and Waters saved easily. Waters then produced save of the match when he saved a point blank header from Reilly which was yet again constructed by Ryan Caddis. The Hurlfold playmaker was all over it now as he set up another headed chance for Reilly, but again the effort wasn’t good enough to test Waters. 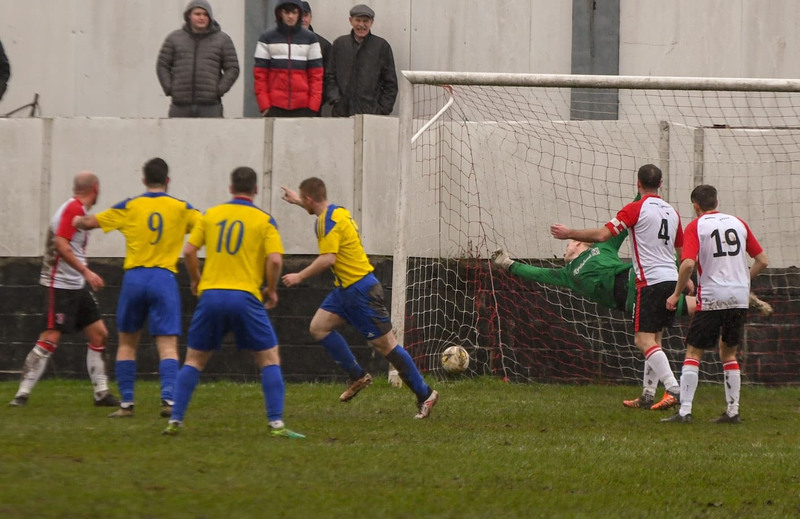 With eight minutes remaining Hurlford put the game to bed with Ryan Caddis getting the goal he deserved. It was yet another desperately bad goal to lose as Caddis was allowed to waltz his way into the box unchecked. He then moved to his left with no sign of a challenge and pretty much able to pick his spot in the goal. There is no doubt that Hurlford deserved to win. The Bankies played well enough in the first half, but were nowhere to be seen in the second. The conditions definitely contributed to this as many of the team’s strengths were nullified by the pitch. 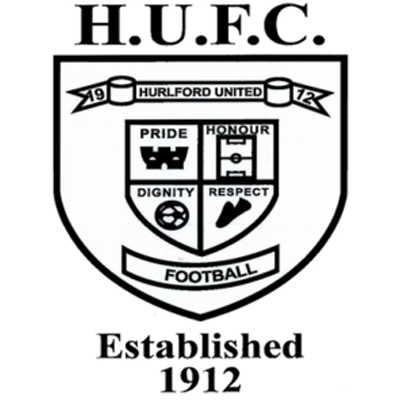 Hurlford, on the other hand, are a powerful, strong side and from a defensive point of view it suited them. They also have one or two forward players, particularly Ryan Caddis, who have just a little bit extra at this level and it told in the end. Kieran McAnespie now has to look to the future. There are nine league games to get the club back up the table as things have slipped since the turn of the year and turn his attention to next season to see where he can strengthen the side.